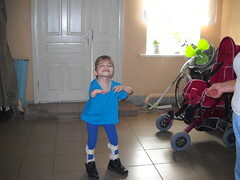 ThePromise was established in 2003 to support children with disabilities in Russia, both in the community and within the orphanage system as it existed at that time. 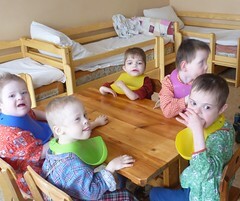 Over time our work has shifted to supporting mant more community and community centre based Portage teams as the orphanage system in Russia has been remodelled and reduced. 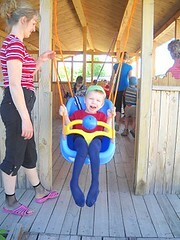 Our Vision is a world where children with disabilities can achieve the best possible quality of life. 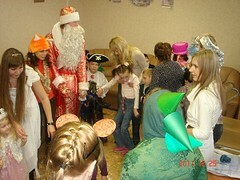 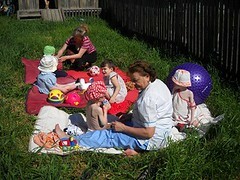 Our Purpose is to improve the lives of disabled children in Russia and neighbouring countries. 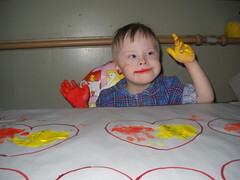 We do this by promoting a system of support for disabled children called Portage in partnership with families and carers and by encouraging a more positive attitude to disability.